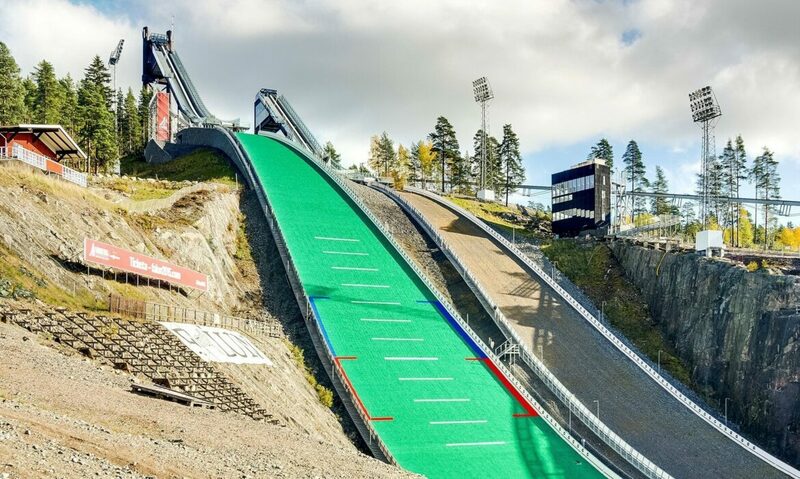 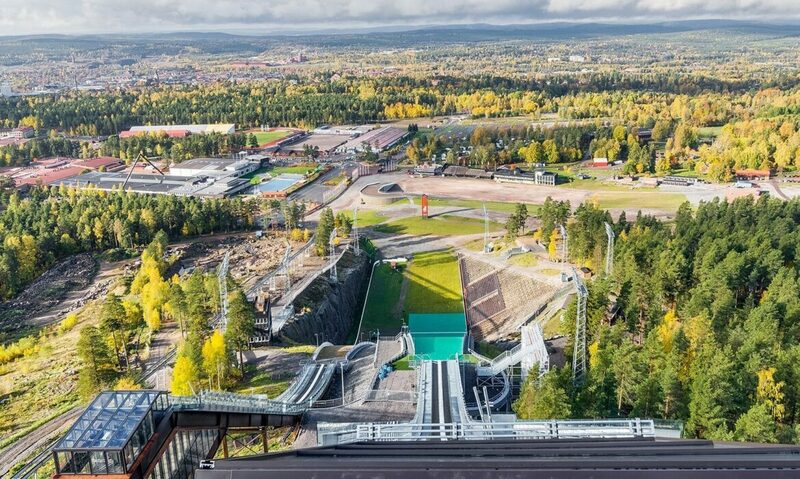 The lift in the ski jump tower of Falun takes ski jumpers and visitors all the way up to the top. 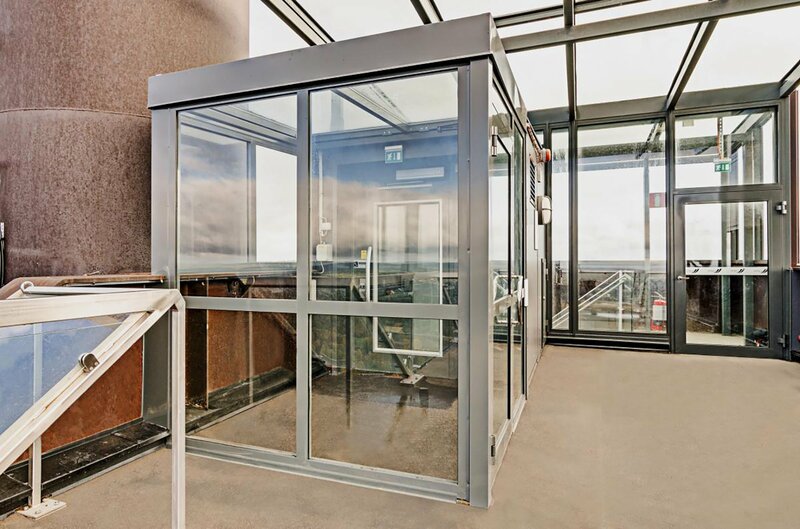 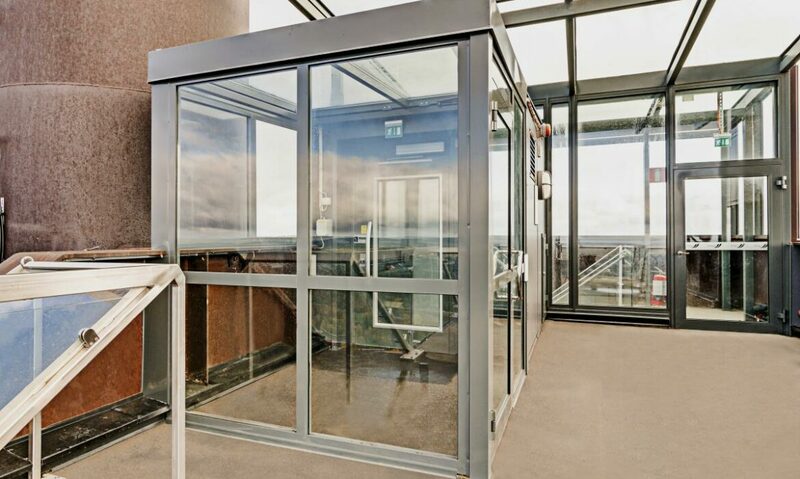 The glazed shaft and doors of the Cibes A5000 enable passengers to enjoy spectacular panoramic views on their way up. 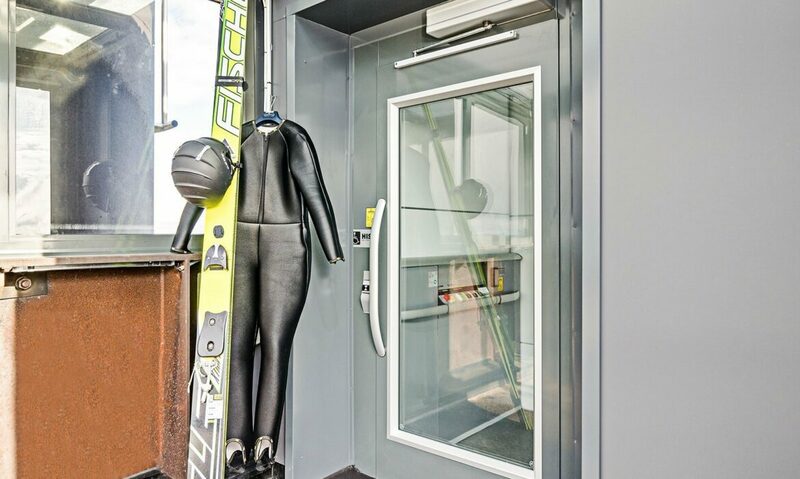 The open platform makes it easy to transport the athletes and their equipment to the top of the tower. 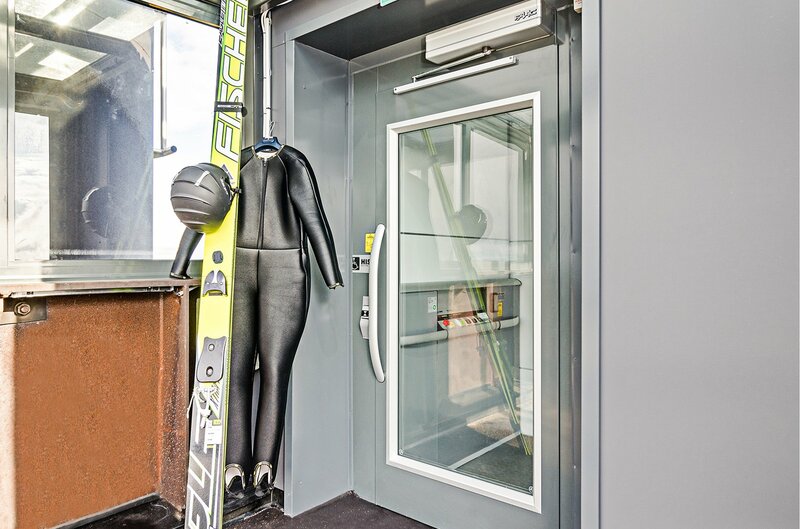 Very tall skis are no problem!